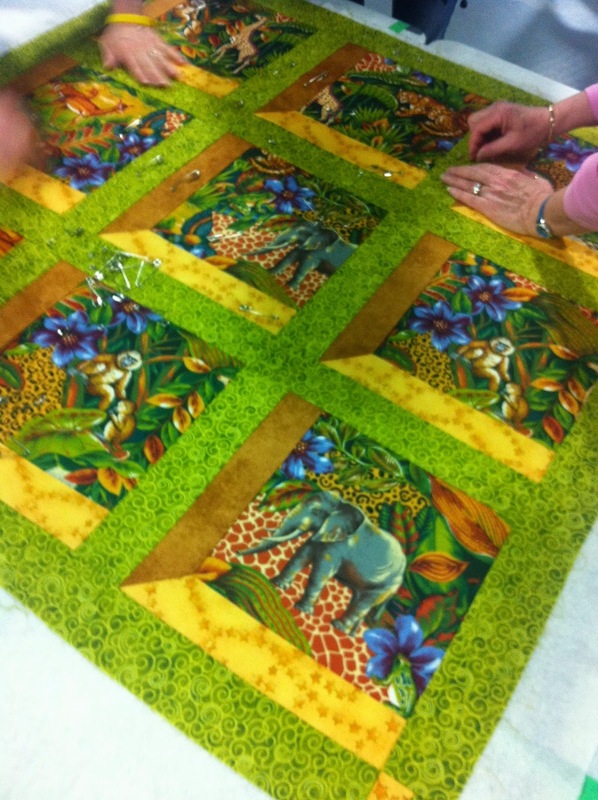 At least once a year, one of the quilt guilds I belong to (Dalemead Quilters Guild), gets together to make comfort quilts that go to one of three local organizations. We call our sewing day "Stone Soup Day" after the story of the soup that starts with a single stone and as everyone contributes what they are able, they have enough to feed everyone. 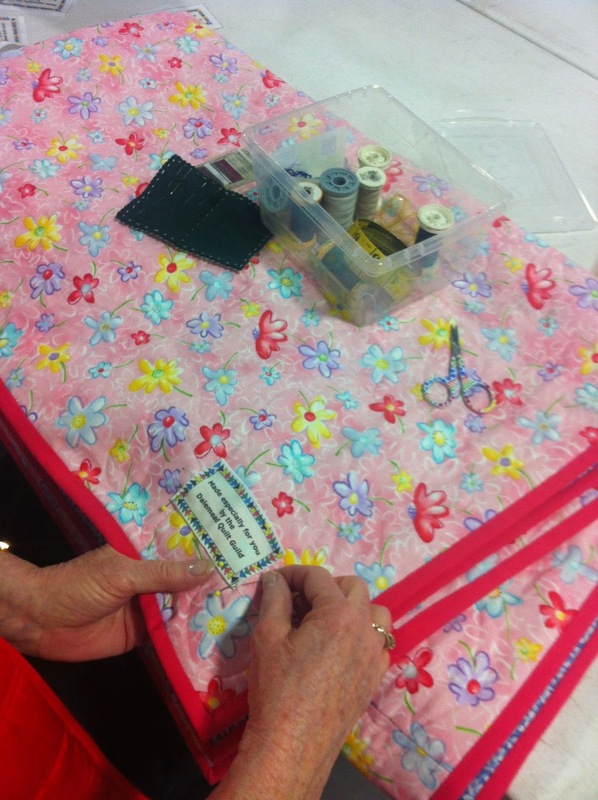 When that same principle is applied to quilting, some people bring fabric, some sewing skills, some batting, some quilt, some put on binding and finally some sew on labels. 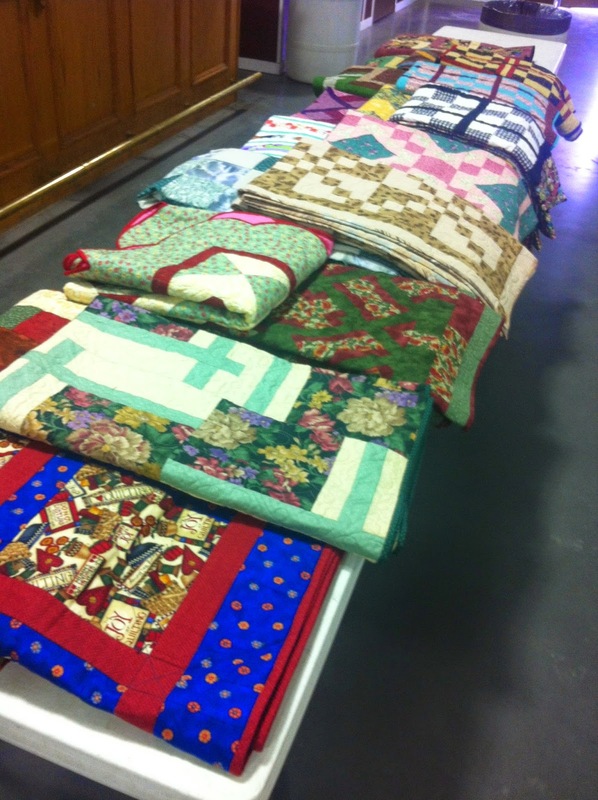 And the end result is a pile of quilts! This year I saw a quilt pattern at another group I sew with called "Crazy Eights" that I thought would make a great comfort quilt for our Stone Soup Day. I did a quick search when I got home and found the pattern over here at Fons and Porter. I didn't order the pattern as it looked simple enough to figure out and I didn't want to use strips, but the overflowing pile of 2.5" squares I've been cutting and saving for a very long time! This is what is left after sewing what I needed - this bucket was full! So on what is called "National Quilting Day" down in the states (not sure if it's called anything here in Canada, but we'll celebrate with our southern neighbours!) 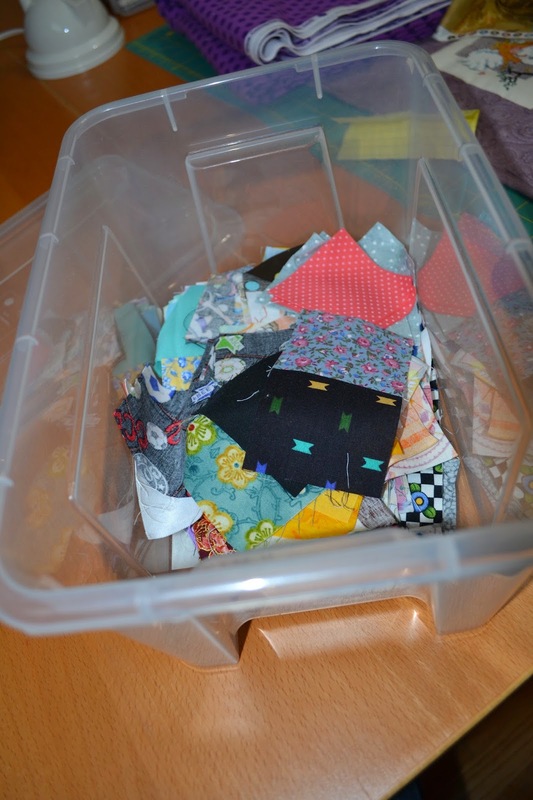 I packed up my sewing machine, 2.5" scraps and headed off to sew with a lovely group of women for our Stone Soup Day. After a full day (well, it's not a sweat shop, so I didn't put in a full 8 hours! 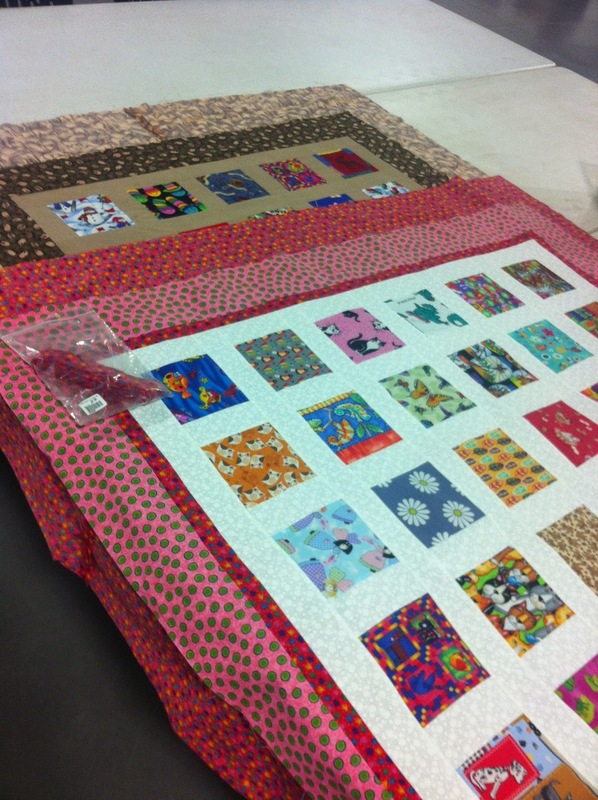 ), I had enough of my scraps sewn together into four-patches to make the 80 eight patch units that are needed for this quilt! A lovely pile of scrappy eight-patches! 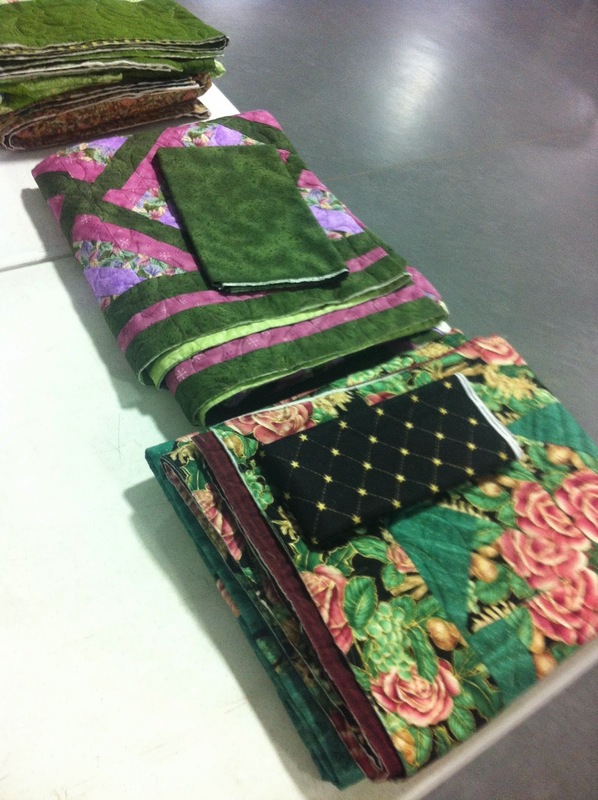 Tomorrow I'll show you how they look with a variety of fabrics for sashing and what I chose in the end! 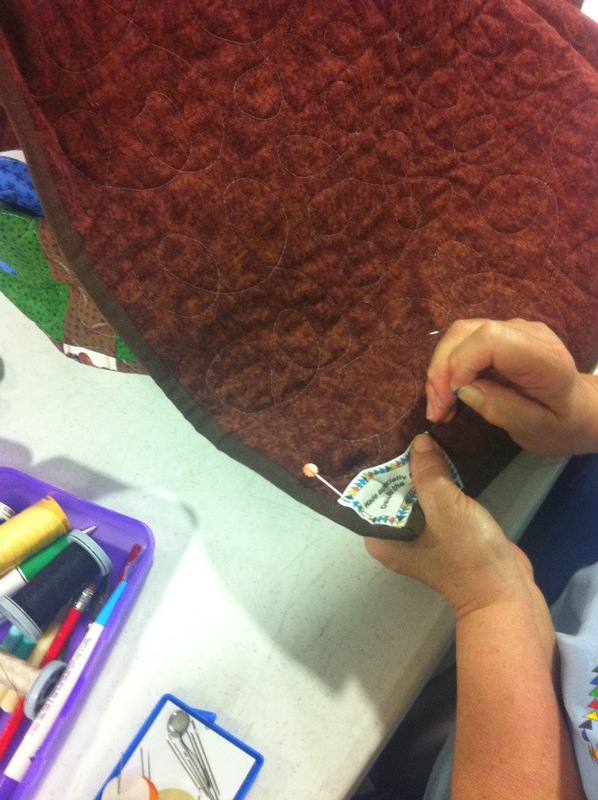 Till then, happy quilting!